By York artist Elliot Harrison. Illustrations showcasing York's iconic buildings and views. 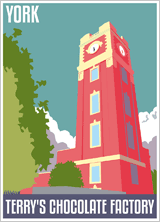 10 large posters using vibrant colours including: Blossom St Odeon, St Helen's Square, Clifford's Tower and many more. These are sure to brighten your day and put a smile on the staff, patients and visitors to York hospital. The first time all these works have been brought together in an exhibition. ★ Where: The Main Street Gallery space, between junction 5 and 6 of York Hospital’s main corridor. Money from any sales will go towards York Teaching Hospital Charity. York Fine Arts is delighted to announce ‘All Things Bright’, a vibrant, mixed exhibition of work that takes the love of contemporary fine art to chromatic new heights. 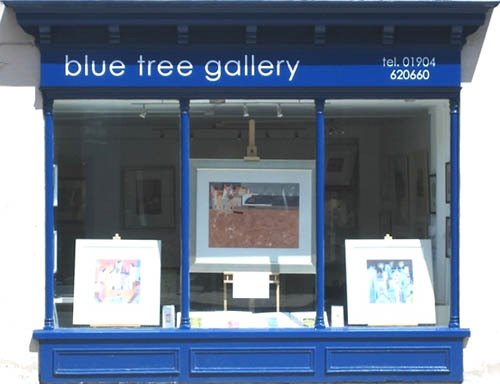 Featuring a bold collection of original paintings by some of the gallery's most popular contemporary artists, including Terence Clarke, Julian Mason, and Terry Evans, the exhibition brings together an exclusive and electrifying selection of work guaranteed to invigorate and inspire. From cerulean blues to cadmium yellows, ‘All Things Bright’ envelops viewers in a vivid kaleidoscope of colour. In this momentary shift of focus from subject to pigment, the exhibition highlights the raw, organic power of colour and its ability to stimulate the senses, mind and soul. With this renewed appreciation and a refreshed observation, yet another layer of engagement unfolds, unlocking further joy and satisfaction from a single work of fine art. The exhibition opens at York Fine Arts’ York gallery on Friday, 1st March and runs until Sunday, 24th of March 2019. Due to expected high volume of interest, an early viewing is recommended. Wildlife artists Sarah and David Cemmick live in the beautiful Eden Valley amongst the foothills of the Cumbrian Pennines, where they each gain inspiration from the surrounding countryside and its abundant wildlife. Sarah studied environmental illustration at Sunderland, whereas David has travelled extensively and documented plant and animal species from some of the world's most remote habitats. Both artists have exhibited throughout the UK and this exhibition features their most recent work, lino cut prints by Sarah and sculpture and watercolours by David. Discover something new at York Open Studios, a chance to spend a leisurely weekend visiting the colourful and creative studio spaces York’s potters, painters, jewellers and many other artists and designer makers. This popular free event is the chance to explore creative spaces that are rarely open to the public. Be inspired, discover new techniques, buy work directly from the artist or even try your hand at something new. With 149 selected artists taking part there is plenty to see! Discover hidden parts of York, from historic streets to leafy suburbs and country cottages, whilst tracking down studios of all shapes and sizes! 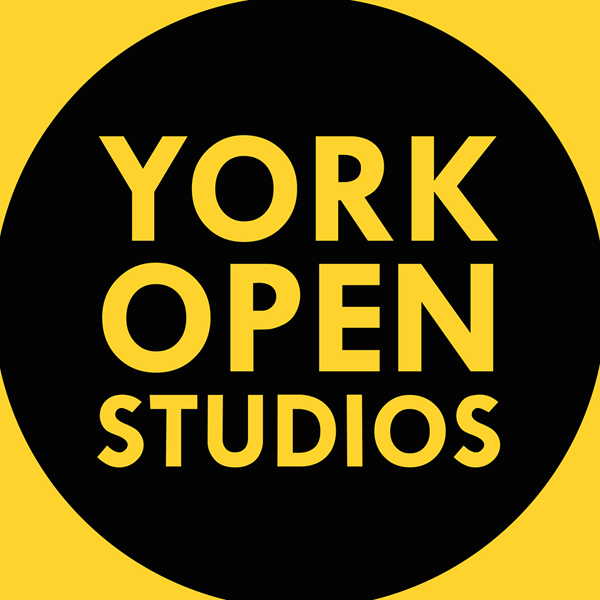 York Open Studios takes place on Sat 6, Sun 7 April and Sat 13, Sun 14 April 2019 with studios open 10am-5pm. Free entry. 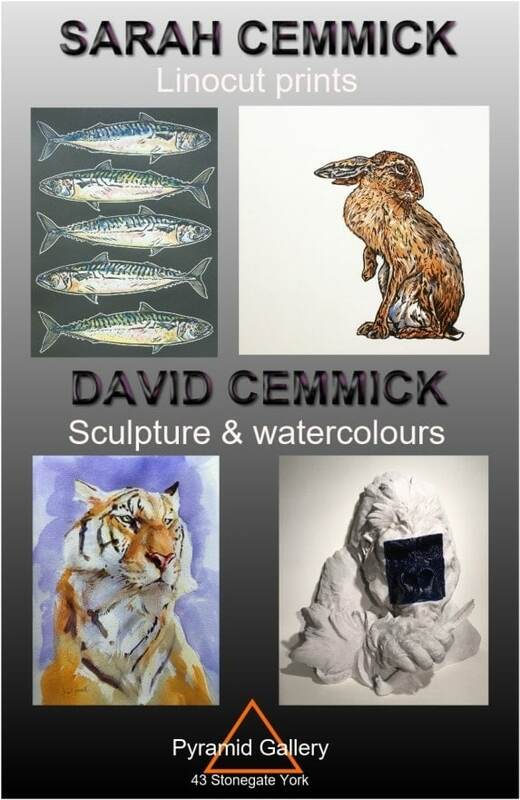 Exhibition and Sale of Paintings with Raffle in aid of Martin House Hospice for Children. Saturday 6th. April 2019. 10am to 4 pm.